Erin Bakes has been accepted as a U.S. expert to the ISO Technical Committee 150: Implants for Surgery (WG7). This placement allows participation in the annual ISO meetings to discuss movements surrounding the approach to cleanliness and safety of medical devices and the development of ISO 19227. These meetings have recently been closed, and only those that are nominated and accepted by the co-chair of the respective working groups are allowed to attend and participate in the international annual meeting. 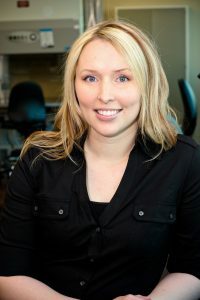 Erin Bakes has been with Nelson Laboratories for over ten years. She has spent eight years as a study director in the chemistry department with a focus on cleaning validations for newly manufactured and single use devices. She is now the chemistry department manager and continues to consult with clients on their device cleanliness validations.